er ... bacteria? rancid meat? I'm confused. How does one not get sick? I guess it's no different than dried pork sold as pepperettes that require no refrigeration. 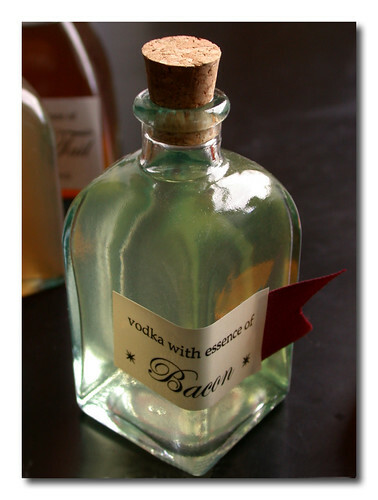 Perhaps the alcohol sterilizes the bacon in the same manner that rum can keep a fruit cake edible for eons.